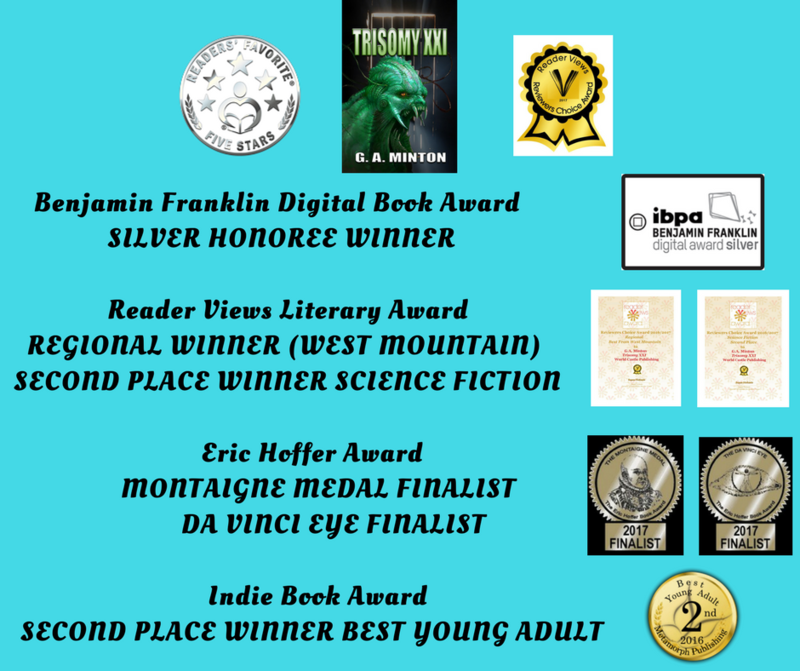 TRISOMY XXI, a horror/sci-fi/mystery novel, is the thrilling tale about the adventures of Joshua Allen, a sixteen-year-old boy who was born with an extra chromosome—a genetic aberration known as Trisomy XXI, or Down Syndrome. When a serious accident leaves him in a coma at the hospital, Joshua receives a mysterious injection that endows him with supernatural powers. The transformed teen is linked to a string of bizarre, unexplained deaths that have both the town’s sheriff and the coroner baffled. But when a ghastly creature from another planet lands on Earth and begins its hunt for Joshua—viciously slaughtering anyone in its path in order to complete its deadly mission—Joshua and his friends are thrown into a world of horror that is totally out of control. What follows is a horrific life-and-death struggle with the seemingly-indestructible extraterrestrial being. The salvation of an entire race of aliens hangs in the balance! “This book has a brilliant story so entertaining it is hard to put down. I engaged with this horrific tale from start to finish. I am delighted to recommend this book to every intelligent reader of science fiction, mystery and gore.” – Dr. Ayesha Plunkett (Film/Television Producer/ Scriptwriter/ Owner of Over the Rainbow Productions). “Trisomy XXI is a fun, exciting science fiction adventure. The writing is spectacular, and author G.A. Minton has a great talent for describing his scenes and characters in vividly colorful detail. Minton’s ability to drive the story across the genres makes for decidedly entertaining reading. I highly recommend this book to teens and adults who are fans of adventurous science fiction!” - Paige Lovitt for Reader Views. “The popular trend of adding science fiction elements to horror goes well beyond jumping through portals as is evident in G.A. Minton’s Trisomy XXI. Minton offers up a compelling, frightening, and surprisingly touching genre blend that both horror and sci-fi readers will enjoy.” – Becky Spratford for The Reader’s Shelf at Library Journal Reviews. “Author G.A. Minton's Trisomy XXI is a book with an exciting and unique premise that will keep readers turning the pages from the very beginning all the way through to the very end. I definitely enjoyed Trisomy XXI. Author G.A. Minton has made a bold choice in choosing a young man with Down Syndrome as the protagonist of this book, and has done a great job at making him so much more than just a stereotype of someone with a disability. This read had action almost from the very beginning and will definitely be able to keep readers on the edge of their seats, even gasping with surprise at times. Any reader who enjoys a great work of horror should definitely grab Trisomy XXI. I am pleased to recommend this book, and will look for more from author G.A. Minton in the very near future!” – 5-STAR Review by Chris Fischer for Readers’ Favorite. “I enjoyed Trisomy XXI by G.A. Minton and I hope to read more of his novels in the future as they portray a great writing style!” – Chris Kyle (sixteen-year-old book reviewer from READER VIEWS). “TRISOMY XXI is filled with humor, sadness, mystery, and interesting twists in every chapter. . .prepare to be thoroughly entertained!” – Gracie Bradford for Goodreads Reviews and Readers’ Favorite Reviews. “I absolutely loved this book and everything about it. G.A. Minton created a well-rounded small town full of the usual characters one would find in any small town USA. Little do they realize they are soon to be at ground zero for a series of bizarre events. The characters are believable and comfortable. The events are mind bending but flow logically through each twist and turn. I never saw what was coming next but enjoyed the ride!” – Goodreads 5-STAR Review. “A very creative story. . .interesting use of the human genetic syndrome. Seemingly, a way to help all Trisomy XXI humans.” - Benjamin Franklin Digital Award SILVER HONOREE by the Independent Book Publishers Association. Trisomy XXI is a well written, human story; I recommend it to all readers of science fiction. – Goodreads 5-Star Review by Sue. “Thoroughly enjoyed this book given to my hubby by the author. Great job on your first book G.A. Minton. Although some parts are terrifying, the main character, Joshua, is a beautiful boy with a beautiful heart, and all the supporting characters make this a well-rounded story. Just when you think Joshua couldn't possibly be guilty, the author keeps you in suspense, and when all the pieces are revealed, you have to admit you never saw it coming. Had to stay up to finish it as it kept me at the edge of my seat. Well worth it. 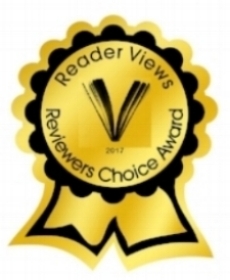 Thank you!” – Goodreads 5-Star Review by Ruth Yammine.